Ah ! quel plaisir d'être soldat !
. . . brilliant tone and breath control . . . everything is beguiling, dressed in succulent accompaniments from Roberto Abbado and the Teatro Comunale di Bologna orchestra. This is a captivating survey of French arias . . . Florez is a bel canto [specialist] . . . so some of the later arias here should be outside his comfort zone, but aren't . . . a thrilling voyage of discovery. And at 70 minutes, excellent value, with all texts and translations included.
. . . the great virtuoso tenor Juan Diego Flórez branches out in this superb recital disc, as if giving notice of an intention to focus the next phase of his meteoric career on exploring the treasure trove of French 19th-century opera. The programme is fresh and interesting . . . Throughout, Flórez is in glowing voice, his clarity and precision of technique as impeccable as ever . . . evidence of a true artist as well as a star performer.
. . . [Arias from Gounod's "Roméo et Juliette" and Massenet's "Werther"]: the results are exciting here . . . [his French] is always clear . . . He sings forgotten gems galore . . . His "Blonde Cérès" is exquisite. The scenes from Donizetti's "La Favorite", Delibes's "Lakmé" and Thomas's "Mignon" are perfect fits for Florez, and he is all wit and roguish charm in Paris's "Mount Ida" song, from Offenbach's "La Belle Hélène". The real show stopper is Chapelau's solo from Adam's "Le Postillon de Lonjumeau".
. . . in elegant form . . . he sings with grace and sensitivity . . . For many fans the album's highlight will be an irresistibly jaunty rendition of "Mes amis, écoutez l'histoire" from Adolph Adam's "Le Postillon de Lonjumeau." This aria is notable for ascending to a climactic high D, which Florez hits beautifully. He is ably accompanied by the "Orchestra e Coro del Teatro Comunale di Bologna", conducted by Roberto Abbado. Mr. Flórez is to be applauded for following his artistic inquisitiveness along new trails at a time in the career at which many important singers are content to rest on their laurels by singing only music with which they are comfortable. Still more deserving of applause is the shrewdness of this artist that, after nearly two decades of conquering some of the most terrifying rôles in the tenor repertoire, enables him to sing with the beauty and uninhibited joy that glow in so many passages on "L¿Amour". The account of Georges's martial aria "Ah! quel plaisir d'être soldat" from Boieldieu's "La dame blanche" with which Mr. Flórez launches "L'Amour" sets the pace for a thrilling but refreshingly thoughtful recital. Georges's "Viens, gentille dame" suits Mr. Flórez even better, but his singing of "Ah! quel plaisir d'être soldat" is stirring, the text delivered with conviction and sly humor. Throughout the selections on "L'Amour", Mr. Flórez's French diction is admirable . . . Negotiations of the ascents to and above top C are managed with his customary fearlessness . . . Mr. Flórez's intonation remains splendidly reliable . . . The ebullience of Mr. Flórez's singing of Chapelou's "Mes amis, écoutez l'histoire d'un jeune et galant postillon" from Adolphe Adam's "Le postillon de Lonjumeau" is fantastic . . . he receives resonant support from Russian bass Sergey Artamonov. His efforts are also complemented by the graceful contributions of the "Orchestra e Coro del Teatro Comunale di Bologna" and Maestro Roberto Abbado . . . [Bizet / "La voix d'un amant fidèle"]: the charm of the music is winningly realized in Mr. Flórez's performance of the aria . . . [it] draws from Mr. Flórez similar refinement of phrasing, and the finesse with which Mr. Flórez approaches the climactic top notes is appropriately poised. The frolicking "Jugement de Pâris", "Au mont Ida, trois déesses", from Offenbach's "La belle Hélène" is so dazzlingly sung by Mr. Flórez that it seems finer music than it actually is. His comedic gifts are bountiful . . . Gérald's gorgeous "Fantaisie aux divins mensonges" from Delibes's still-too-seldom-heard "Lakmé" is one of the most mesmerizing selections on the disc, Mr. Flórez's timbre and imaginative use of text imparting the rhapsodic nature of Gérald's expression . . . the fluidity of line that Mr. Flórez devotes to his performance of Wilhelm Meister's "Oui, je veux par le monde promener librement mon humeur vagabonde" elucidates the inspiration of Thomas's vocal writing . . . Mr. Flórez's performances of "O Nature, pleine de grâce" and "Pourquoi me réveiller" are the musical and artistic pinnacles of "L'Amour" . . . Werther's paean to the seductive dominion of nature, the passion in Mr. Flórez's singing reaches ecstatic heights of rapture, and his bright . . . timbre shimmers under the glaring sunlight of Massenet's music . . . Mr. Flórez supplies the focused, attractive tone that makes "Pourquoi me réveiller" not just an impressive but a commanding aria. Crucially, Mr. Flórez sounds like a young, poetically-inclined, brooding young man undone by imprudent love. Ultimately, "L'Amour" is the rare recital disc that has abundant commercial and artistic appeal. It is both an exploration of a facet of the career of one of the 21st Century's best singers and an intriguing vista of one path that this marvelous voice may travel in seasons to come . . . In this recital of repertoire for which he has obvious affection, he delivers greatness . . . "L'Amour" offers plentiful doses of the fleetness, flexibility, and spine-tingling top notes that characterize this singer's best work, yet what makes "L'Amour" more than another pleasant recital disc is the very quality that defines it: love. The tenor is well accompanied by the "Orchestra e Coro del Teatro Comunale di Bologna", conducted by Roberto Abbado . . . Flórez is probably the world's leading bel canto tenor . . . Always noted for his style and ability to knock out high notes, both aspects of his talent are on display here . . . His enunciation is excellent and he pays attention to the meaning of each piece . . . The melodic "Au mont Ida, troi déesses (Le Jugement de Paris)" from Offenbach's "La belle Helene" has immense charm. "Ah! lève-toi soleil," from Gounod's "Romeo et Juliette" (basically the balcony scene) is a rapturous rendition. It's a well-sung selection -- no one could deny that Flórez has a remarkable instrument and he surmounts all of the vocal hurdles with ease . . . his voice is getting slightly richer, almost darker, without losing its flexibility or range.
. . . Juan Diego Flórez presents a delightful collection of 12 virtuoso arias . . . demonstrating both his skill in bel canto ornamentation and his impeccable delivery . . . These arias are ideal for a light tenor voice, and Flórez soars with ease in his upper tessitura, gaining power the higher he goes . . . His voice has a bright, open quality that works well in lyrical music, and he could play youthful romantic roles for some time to come with his great flexibility and energy. Flórez is accompanied by the Orchestra and Chorus of the Teatro Comunale di Bologna, who give a truly operatic experience to this disc, and the vibrant performances provide more than an accompaniment for Flórez. Decca's recorded sound is full and rich. Juan Diego Flórez demonstrates impressive stylistic grasp . . . it's not enough to say that Juan Diego Flórez explores French operatic repertoire. He attacks his new material with a zeal that's both defiant and seductive, while showing a passion for self-improvement and sometimes self-transformation . . . Under Roberto Abbado's shrewd guidance, and based on good models, the two "Werther" solos are carefully put together, with fundamentals solidly in place -- cohesive text and musical line, focused tone, strategic accents and an ability to tease out the long phrases. There's a rapturous glow in the Act I solo "O Nature, pleine de grâce," and the strenuous "Pourquoi me réveiller" adheres to a compelling emotional arc . . . Here's a stirring, pulsing "Ah! lève-toi, soleil!" . . . He excels at the gauzy "O blonde Cérès," from "Les Troyens" , the fluid, whimsical "Fantaisie aux divins mensonges," from "Lakmé", and the sensuous subtlety of the minor-key serenade of Bizet's "Jolie Fille de Perth" . . . "chapeau bas". This recital from Juan Diego Flórez marks a new departure into different areas of 19th-century French repertoire . . . [the voice] remains a bright, light, lyric instrument, famously flexible and free at the top . . . As such, the more wistful, gentle numbers, where the tenor's musicality shines through and the voice is allowed to relax, struck me as the most enjoyable . . . The main part of the Serenade from Bizet's opera is sung with couching gentleness; Iopas's glorious "O blonde Cérès" from "Les Troyens" is a delight . . . The sprightlier numbers are a lot of fun, the first Boieldieu aria (capped with a ringing top D) and the Adam in particular; the final hushed phrase of the "Dame blanche" aria is meltingly done, too . . . The main interest, however, probably lies in the two arias from "Werther", an opera Flórez is due to tackle in the theatre in a couple of years' time. He sings them with characteristic elegance. Juan Diego Flórez demonstrates impressive stylistic grasp . . . it's not enough to say that Juan Diego Flórez explores French operatic repertoire. He attacks his new material with a zeal that's both defiant and seductive, while showing a passion for self-improvement and sometimes self-transformation . . . [Massenet / "Werther"]: Flórez doesn't pull his punches, even in the passages of explosive despair in which some more frugal performers prefer to turn inward . . . the Decca engineers have surely done their part . . . Under Roberto Abbado's shrewd guidance, and based on good models, the two Werther solos are carefully put together, with fundamentals solidly in place -- cohesive text and musical line, focused tone, strategic accents and an ability to tease out the long phrases. There's a rapturous glow in the Act I solo "O Nature, pleine de grace", and the strenuous "Pourquoi me réveiller" adheres to a compelling emotional arc. The less rugged contours of the lyric-tenor repertoire succumb easily to the Flórez charm. Here's a stirring, pulsing "Ah! lève-toi, soleil!" . . . shaped with rich dynamic variation while seeming impulsive and improvisational. He excels at the gauzy "O blonde Cérès" from "Les Troyens" , the fluid, whimsical "Fantaisie aux divins mensonges" from "Lakmé", and the sensuous subtlety of the minor-key serenade of Bizet's "Jolie Fille de Perth" . . . [Offenbach / "Au mont Ida"]: Flórez alternates young Paris's natural excitement with the narrator's sly wit -- hints of an older roué looking back -- and doesn't spare the rubato or the hammy French inflections . . . "chapeau bas".
. . . Juan Diego Floréz is a spectacular artist in his chosen repertory. His security and ease of production are remarkable, and in performance he is a charmer with his dashing good looks and charisma. The twists and turns of Boieldieu's "Viens, Gentille Dame" come easily to him, as you would expect, and so does the high D of the aria from "Le Postillon de Lonjumeau" . . . the little serenade "O Blonde Ceres" from "Les Troyens" can rarely have had so deluxe a performance, and Florez shapes the serenade from "Jolie Fille de Perth" gracefully by leaning into the notes in just the right way . . . Abbado is a supportive conductor, the orchestra plays reasonably well, and the sound is excellent. His voice is richer and displays more colours, put to great use in Werther's anguished outpourings . . . His bel canto background provides him with precisely the right elegance for this French music . . . However, Flórez doesn't eschew the fun of hitting the vocal heights, as his ebullient aria from Offenbach's "La belle Hélène" proves. Eines der großen Stimmphänomene unserer Zeit: Juan Diego Flórez beherrscht die Region um das hohe C wie kaum ein Zweiter, selbst Höheres fällt ihm leicht . . . [auf "L'Amour"] hört man, dass ihm nicht nur Belcanto im Blut liegt, sondern auch etwa Massenets "Werther": Plötzlich strömt die sonst so schlanke Stimme breiter, doch immer noch auch in Pianoregionen zart registriert. Ein Tenor für alle Fälle. Der Kritiker jubelt über das schönste Opernalbum der letzten Zeit . . . [dass Flórez hier] eines seiner besten, vielleicht sein überhaupt bestes Recital hervorgebracht hat, liegt nicht nur daran, dass die schlanke Phrasierung und Melodieführung, das 'Singen auf Linie' ohne emphatischen Höhenkoller von Haus aus seine Spezialität ist . . . Vielmehr hat sein dezent nasaler, mit bombensicherer Höhe und italienischen Liebhaber-Qualitäten ausgestatteter Tenor seit einiger Zeit ein bisschen heldisches Feuer gefangen und ein Paar Stahlstreben angelegt . . . [er vermag] zwischen Situationskomik und Heroik, romantischer Herzensergießung und Reflexion souverän hin und her zu wechseln . . . Flórez ist ein Album gelungen, das keinen historischen Vergleich zu scheuen braucht. Eines der schönsten Opern-Alben der letzten Jahre. Formidable! Juan Diego Florez bringt die französische Oper zum Strahlen . . . Das lange erwartete neue Album des peruanischen Tenors liegt nun vor -- und wieder einmal macht er seinem Ruf als wohl bester Tenor unserer Zeit alle Ehre! . . . Diese Mann hat es eindeutig drauf: Juan Diego Florez' Bedeutung an der Tenorspitze unserer Tage ist nicht zu unterschätzen. Juan Diego Florez weiß technische Virtuosität mit dem Charme eines Herzensdiebs zu verbinden, was ihn stets unter den Rossini-Tenören auszeichnete. Auf seinem neuen Album taucht der Peruaner in die Welt der französischen Oper ein -- mit einem herausragenden Ergebnis . . . Seit seinem Debüt beim Rossini-Festival in Pesaro verkörpert der peruanische Tenor Juan Diego Florez den unbekümmert-strahlenden Jüngling, dessen Stimme auf Flügelschuhen dahingleitet . . . Das Debüt liegt 18 Jahre zurück . . . So betritt er denn auch mit "L'Amour" . . . ein neues Terrain: das der französischen Oper aus der zweiten Hälfte des 19. Jahrhunderts. Vorweg sei gesagt, dass die 18 Jahre nichts geraubt haben; dass Florez weiterhin ein Fußgänger der Lüfte ist; dass sein Singen sich nach wie vor auszeichnet durch Brillanz und Exuberanz, Spontaneität und technisches Finish . . . Die Geschmeidigkeit, mit der er seine silbrig-helle Stimme durch Skalen und Arpeggios führte, Triller und Gruppetti formte, und die Brillanz seiner nie "telegrafierten" Acuti ließen ihn als Wiedergänger jenes stratosphärischen Tenors erscheinen, den Stendhal in "La Vie de Rossini" als den einzigen Tenor seiner Zeit gepriesen hat: Giovanni David . 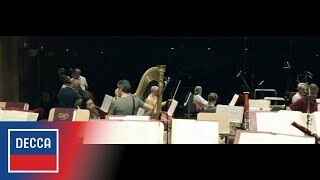 . . Alle fünf Sterne für diese prachtvolle Anthologie -- auch für den Dirigenten Roberto Abbado am Pult des Orchestra e Coro del Teatro Comunale di Bologna . . . Juan Diego Florez demonstriert seine Meisterschaft im französischen Fach sowohl bei den funkelnd-prunkenden Paradestücken (etwa in der titelgebenden Arie des Georges Brown aus Boieldieus "Dame blanche") wie auch in den zärtlichen Phrasen seines abwechslungsreichen Programms.
. . . [das Album] bietet von Adam bis Offenbach die besten Brillier-Möglichkeiten für Flórez' Höhenflüge, die inzwischen beinahe heldischen Grund bekommen haben. Wunderbar abgestuft zwischen Herzschmerz-Momenten, Augenzwinkern und Heldentum geleitet er durchs bunte Programm und entfacht bei uns für dieses wunderschöne Album nicht weniger als "L'Amour". Juan Diego Flórez demonstriert seine Meisterschaft im französischen Fach sowohl bei den funkelnd-prunkenden Paradestücken . . . wie auch in den zärtlichen Phrasen seines abwechslungsreichen Programms. Mit "Prendre le dessin d'un bijou" aus "Lakmé" schenkt er den Hörern das im Titel der Arie beschworene Juwel wie kein anderer Tenor in den Gesamtaufnahmen, die Arie des Paris "Au mont Ida" aus Offenbachs "La belle Hélène" singt er mit jauchzendem Überschwang ähnlich brillant wie Jussi Björling. Prachtvoll. [Eine der] besten Aufnahmen des Jahres 2014 . . . Mit technischer Virtuosität und dem Charme eines Herzensdiebs singt Flórez die romantischen Arien wie kein anderer Tenor.
. . . eine hinreißende Sammlung französischer Tenorarien . . .
. . . [Flórez begeistert] hier mit seinem unverwechselbaren leuchtkräftigen Timbre, mit leichter, eleganter Phrasierung, mit mühelosen, strahlenden Spitzentönen. Vor allem aber singt der Peruaner stilsicher und in perfektem Französisch . . . Bravourstücke, wie Adolphe Adams Ballade vom Postillon von Lonjumeau serviert Flórez mit hinreissender Verve. Anderes, wie den ersten Auftritt von Jules Massenets Werther, gestaltet er differenziert, mit wunderbaren Pianolinien . . . Der Dirigent Roberto Abbado und das Orchester der Bologneser Oper begleiten mit viel Sinn für diese Musik. D'un bout à l'autre du récital, la diction est exemplaire . . . Au-delà de la justesse des phonèmes, la recherche de sens est permanente. Les qualités d'expression de Juan-Diego Florez restent, elles aussi, une constante . . . Donizetti avec ce Fernand de "La Favorite" conforme à notre souvenir: sensible, éloquent, fervent, électrisant . . . le chant de Juan-Diego Flórez n'a rien perdu de son émail. L'aigu et le suraigu sont rayonnants, et le timbre a acquis avec les années une rondeur et une couleur barytonales qui enrichissent une des plus belles voix de notre génération. A-t-on jamais entendu un Iopas des "Troyens" -- "O blonde Cérès" à la voix aussi charnue, ou un postillon aussi vitaminé à Longjumeau ? Gérald de "La Dame blanche" confirme les affinités de Flórez pour ces rôles de demi-caractère . . . Dans les dix minutes extraites de "La Favorite", Flórez confirme son expertise et ses affinités avec le répertoire du bel canto, dans lequel il reste aujourd'hui sans égal.